If you're having trouble managing your home entertainment system and all of its associated remote controls, components and settings, the team at Wasserson Design can help. Using simple, touchscreen control systems, we can consolidate all of your existing remotes into a simple graphical interface that lives on your iPad. We can set up your components, computers, and TV's, link them together properly, and make it easy for your family to enjoy music, TV and movies throughout your home. 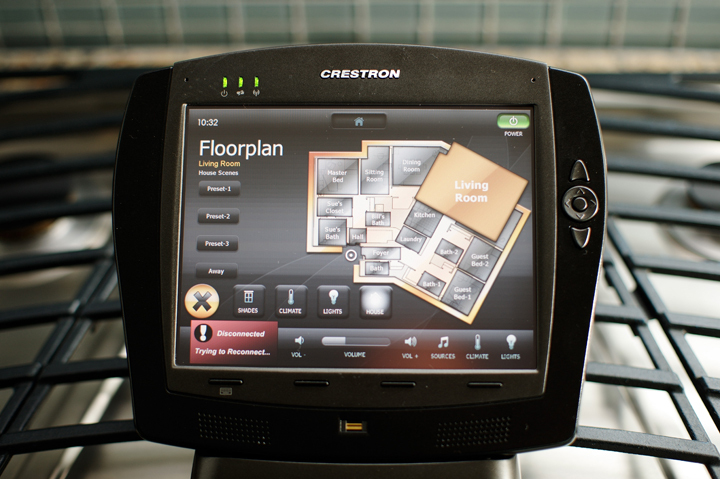 We can even design a touchscreen interface based on your home's floorplan. Just touch a room on the graphic, and take control of that room's audio, video, lighting and climate controls. We can make it simple, intuitive, and easy to use and enjoy. Don't get frustrated – simplify your life and take control with a touchscreen control system from Wasserson Design.